The Austrian five-star prototype RF IWS-2000 relies on slow but incredibly potent shots to take down enemies. 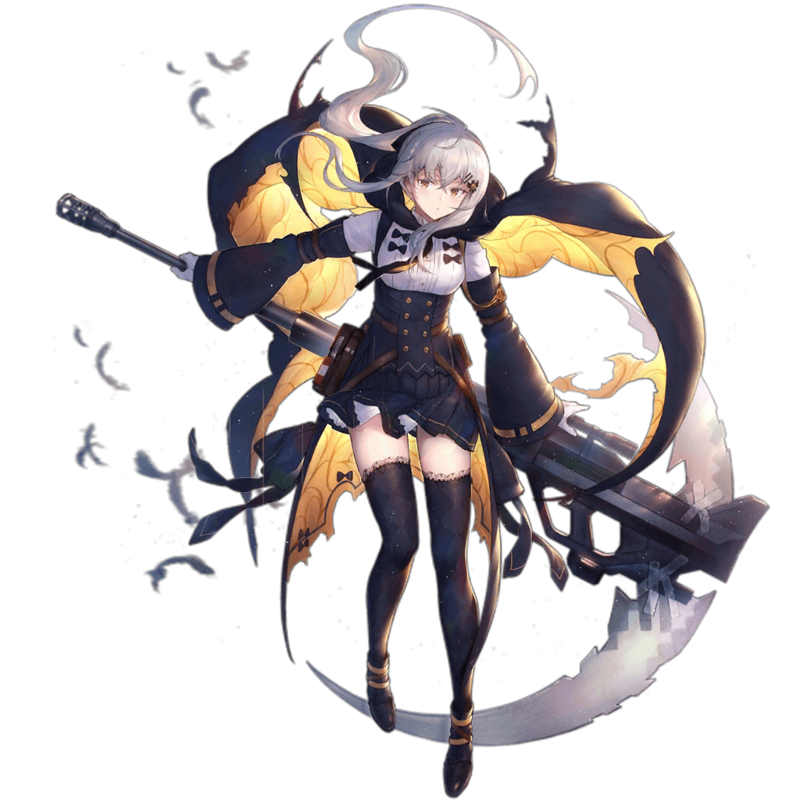 Her Damage stat of 162 helps IWS take full advantage of the 180% Damage self-buff her Skill brings — and while the combination of these two qualities is enough to one-shot anything but bosses, it comes at a hefty price. IWS’ Skill also inflicts a 35% RoF debuff on her, which is the primary reason she underperforms as a general purpose RF when compared to M14 and Lee Enfield. Since IWS cannot reach the RoF cap, she is usually reserved for certain situations where the advantages of her unmatched firepower will outweigh the disadvantages of slow rate of fire. At the moment IWS-2000’s utility is limited as she will see no particular use until chapter 10 gives her a very special role as an Hydra hunter. Despite being usable as a conventional RF, she is outdone by her counterparts and there is no statistical reason as of now to recommend IWS-2000 over them. IWS’ Damage stat — which rests at 162 — is the second best in her class and helps her take great advantage of her absurd Damage buffing Skill. RFs can equip Armor Piercing rounds that grant them up to 120 AP by nature, but it falls short against enemies such as Hydra who carry 199 Armor and enormous amounts of HP. Whereas other may RFs see themselves hopelessly outmatched against these enemies, IWS-2000’s firepower shines through. It is no secret that IWS carries a crazy Damage self-buffing Skill, but the price to pay for it is 35% of her RoF. This RoF self-debuff limits IWS’ viability as a conventional RF by a significant deal — it makes her heavily reliant on strong RoF buffs to achieve a barely acceptable rate of fire. IWS-2000 is a very potent RF capable of annihilating anything in front of her, but just like her Damage self-buff counterparts, she’s perhaps a little too potent and not fast enough — multiplied by two. Her Skill, Giant Eagle Assault, shields IWS-2000 with the inherent weakness of RFs: overkill. Her stat base consists of the second best in class Damage stat, and RoF that ranks among the lowest for RFs. IWS’ base RoF is further decreased by the self-imposed 35% RoF debuff from her Skill and because of this, she requires insane amounts of raw RoF buffs to perform adequately. These factors make IWS unfeasible to employ conventionally against targets that do not warrant the heavy firepower she brings to the table. That is not to say that things will always remain this way, though — IWS finds incredible relevance with the release of Chapter 10 (and subsequently the story event Singularity) which features large amounts of Hydra enemies which are the perfect practice targets for IWS. The usage methods of IWS have evolved over time, with the first widespread iteration of teams containing her being a IWS + 4HG composition that most people are aware of. After extensive testing, though, this composition has been phased out in favor of a standard 2RF 3HG Echelon that features another RF that needs nearly as much RoF as IWS like Lee Enfield. This composition is much better at dealing with most mobs because it does not rely on IWS to defeat most of the enemy’s team by herself while remaining just as effective against tougher opponents. There are a variety of HGs that can be employed in this composition depending on availability, but the recurring theme is to stack as much RoF as possible. 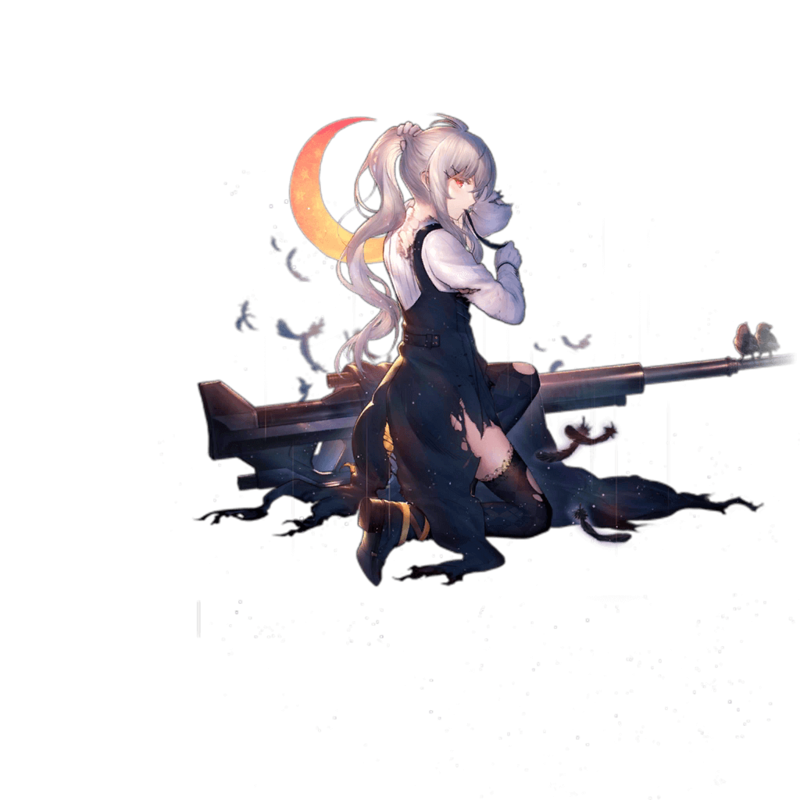 IWS-2000 is overall a niche unit with enough potential to see regular usage, but as the game progresses and enemies become stronger, her niche will see itself normalized to the point she cannot be truly called a niche unit anymore. So even though her utility is practically nonexistent for now, it will not always remain that way and future proofing can be done if desired. Since it is better to have two RFs landing one-shot KOs than one and IWS is heavily reliant on RoF buffs to work, an RF of similar nature like Lee Enfield or M14 is necessary to be used with her. HGs that possess RoF buffs in high quantities are all but mandatory in team compositions featuring IWS. The best options are Five-seveN, M950A, PPK, Astra, and M1911. The all-purpose 2RF 3HG IWS Echelon. This team composition is better in every way than IWS + 4HG. The original IWS + 4HG. This composition is one of the very few times C shape formation is acceptable, and should only be used against Hydra enemies because of their placement in battle and their very slow walk speed. The Austrian prototype anti-materiel rifle Steyr IWS-2000 was first designed in the 1980s but is still under development, though some variants of it are expected to be released in the future.